Mexico: Baja California Norte, restricted to Guadalupe Island. The current number of mature trees has been reported differently, but depending on how one defines a mature tree, it seems likely that only between 100 and 200 trees were left at the time the goats were finally eradicated in 2005. Regeneration had started to take effect within enclosures from about 2002 (Junak et al. 2003), and also outside these fenced areas since 2005/6. Generally simialr to that of the species but on Guadeloupe Island often associated with Pinus radiata var. binata; the climate is substantially cooler in summer than on the mainland due to frequent fog. Some plants originating from seed collected on Guadalupe Island appear to be in cultivation in the USA (California). The decline of the population of mature trees caused by feral goats and fires, and possibly drought, has by all accounts been severe and is likely to have exceeded 70% from the situation about 100 years ago, when goats became established on the island. The goats have now gone, and regeneration is beginning. However, other threats such as fire and draught still remain and could wipe out the fragile remainder of the population. The situation with this variety is extremely critical due to overgrazing by feral goats. The population may not exceed 200 mature trees in two small, separate stands. Recent fires have destroyed many trees. The devastation of the vegetation, caused by more than a century of overgrazing and browsing by goats, may have lowered the water table in the two locations where the cypresses occur. No permanent residents live on the island, which is visited only occasionally. The goats are now finally reported to have been eradicated on the island in 2005. This is a major step towards recovery of the population of C. guadalupensis var. 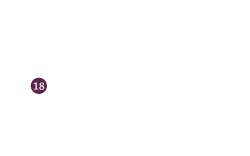 guadalupensis. Previously, a few limited areas had been fenced (excluded) in which many of the cypresses occur, enabling regeneration to start. Adams, R.P., Bartel, J.A. & Price, R.A.. (2009). A new genus, Hesperocyparis, for the cypresses of the western hemisphere. Phytologia 91(1):160-185.
de Laubenfels, D.J. (2009). Nomenclatural actions for the New World cypresses (Cupressaceae). Novon 19(3):300-306. Farjon, A. (2005.) A Monograph of Cupressaceae and Sciadopitys. Royal Botanic Gardens, Kew. Farjon, A. (2013). Cupressus guadalupensis var. guadalupensis. In: IUCN 2013. IUCN Red List of Threatened Species. Version 2013.1. . Downloaded on 06 July 2013. Junak, S., Keitt, B., Tershy, B., Croll, D. & Sánchez, J.A. (2003). 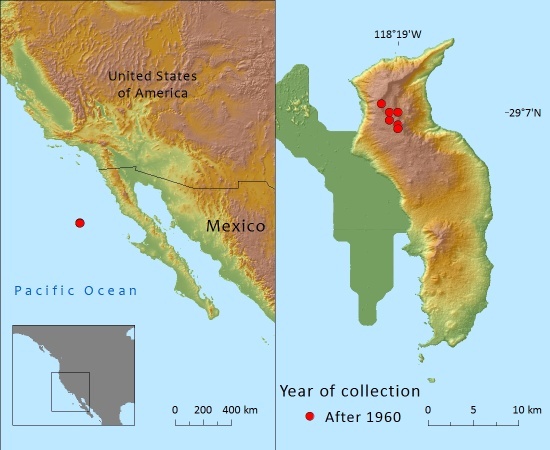 Recent conservation efforts and current status of the flora of Guadalupe Island, Baja California, Mexico. Presentation at Taller sobre la Restauración y Conservación de Isla Guadalupe ["Workshop on restoration and conservation of Guadalupe Island"]. Instituto Nacional de Ecología. Little, D.P. (2006). Evolution and circumscription of the true cypresses (Cupressaceae: Cupressus). Systematic Botany 31(3): 461-480. A.Farjon, 2013. Cupressus guadalupensis var. guadalupensis, from the website, Threatened Conifers of The World (http://threatenedconifers.rbge.org.uk/taxa/details/893).